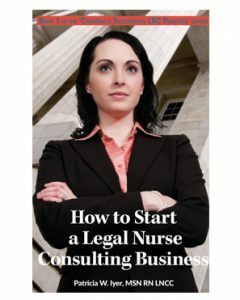 Recently I asked legal nurse consultants what questions they wanted me to answer. One of the top questions was how to get clients. This is Pat Iyer with Iyer’s Insights. In LNP 270, Jill Merriman shared some hot tips about networking. Be sure to listen to that show. Why do you need to be diversified? Should you take subcontracting jobs?